You are never too old to make a career comeback. I woke up early on a cool April morning to watch Tiger Woods make his spectacular career comeback at the 2019 Masters Open Golf Championship. When he sank that final putt, the look on his face of pure joy, relief and emotion was a wonderful thing to see. The delight on the face of his caddy, and then the huge hugs he gave his children, mother and partner and then friends and colleagues was special to watch. 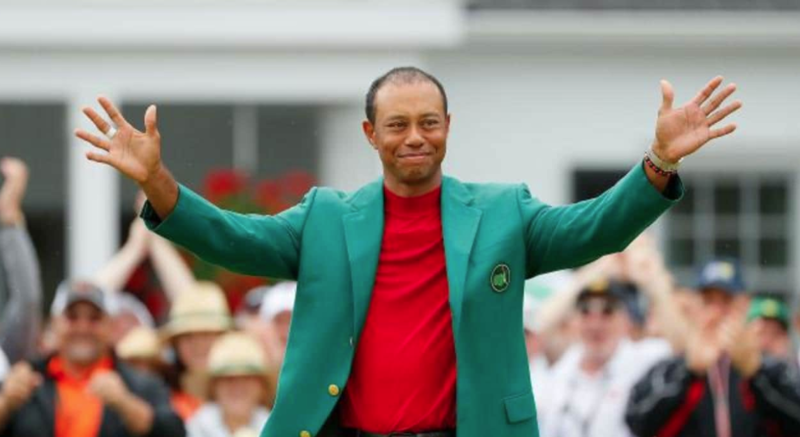 Having been a huge fan of Tiger’s for many years until his fall from grace about 10 years ago, after which I missed the magic he would weave when walking up the final fairway of most championships, I am so impressed at how he has turned his life, and career, around. People do fall from grace, but Tiger’s fall was so public and so spectacular that I found it uncomfortable to watch. Many years later, all through the disappointments, physical injuries, back operations and personal challenges, this Masters win, is phenomenal. After 11 years working his way back to grace, Tiger has shown how grit, determination, mental toughness, resilience and persistence pays off. And time heals all wounds. The public has forgiven him. He is a changed man, and he has shown a strength of character that is admirable. So, for all of you who think that your personal and professional challenges are too hard, please keep going. Don’t use the phrases of being “too old“, “too ashamed“, “too injured“, “too tired“, “too fed up“, “too many things going against you“, to stop you from dedicating yourself to being the best version of who you can be in your career and in your life. We all go through tough stuff in our lives, but it’s how we make a comeback that counts in the end. It shows character. There may be times when it feels like the world is against you, but if you believe in yourself and you put in the WORK, you may just get to where you want to be. Here’s that special moment when Tiger became, once again, the champion we love to follow. Would you like to make a career comeback too? To make a start, book a complimentary CAREER CLARITY CHAT and let’s find out what you need to take control of your career. I look forward to speaking with you! For on-going career support, join The Careers Academy Online and gain the support you need to create the career you dream of. Want to know how Tiger’s competition felt? It was a close battle to the end!